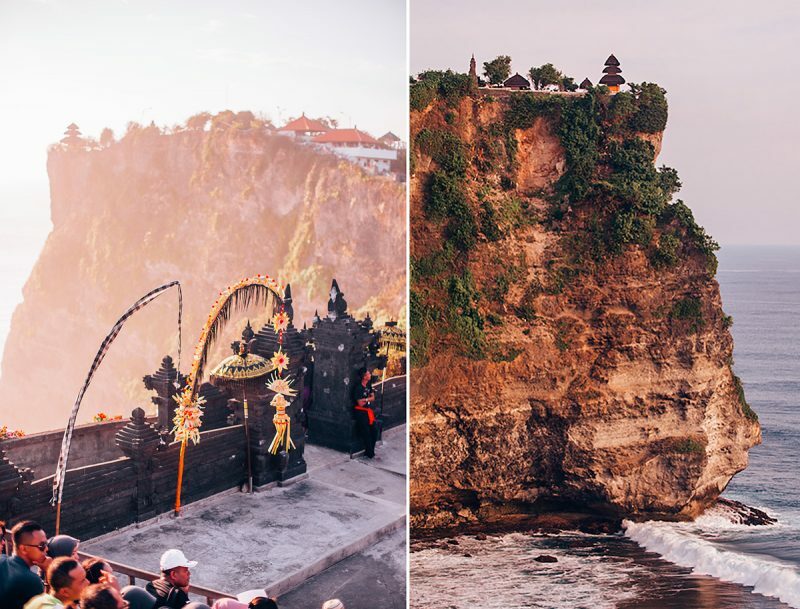 Temple Uluwatu is the second most important temple on the island of Bali. This is a popular place of worship, where hundreds of curious tourists gather every day and pray. The temple is located in a picturesque place on the southwestern coast of the island, on top of a cliff hanging over the ocean. 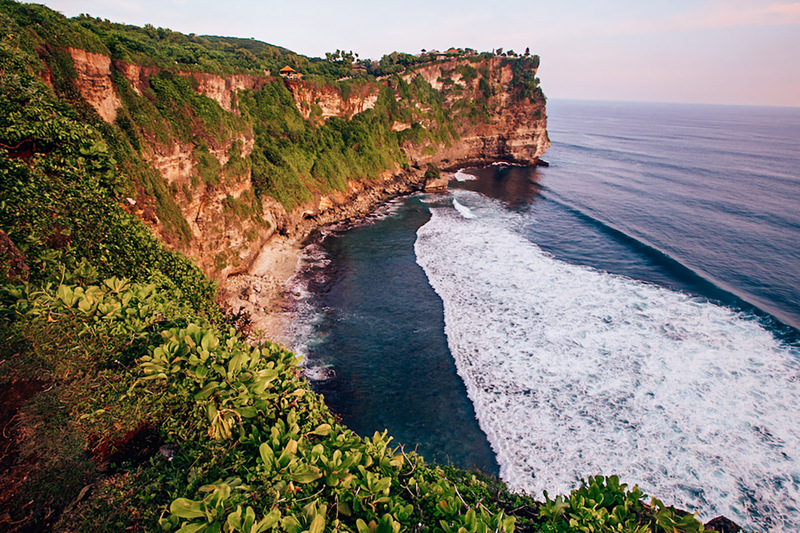 The simple construction of Pura Luhur Uluwatu consists almost entirely of white and gray blocks of petrified corals; it is a state temple dedicated to the spirits of the sea. Above the cliff, next to the temple there is a panoramic road with a wonderful view, which is simply indescribable at sunset. 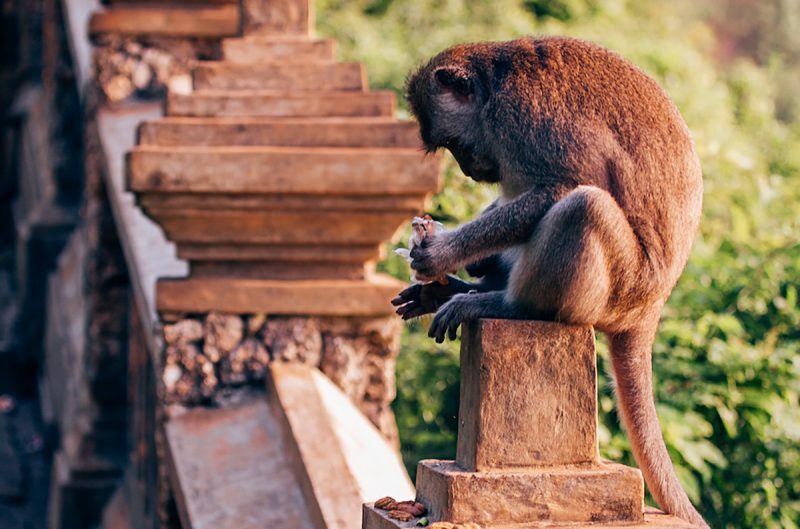 Here also lives a large colony of monkeys, which makes a monkey business. They immediately grab the things they like from tourists: glasses, cameras, hair clips! But if is happened, do not get upset, if you’re lucky, the monkeys will gladly give you everything back in exchange for a bag of nuts and bananas, of course! In addition to a marvelous location, in the evenings in front of the entrance to the temple you can see the Kecak danse performance. 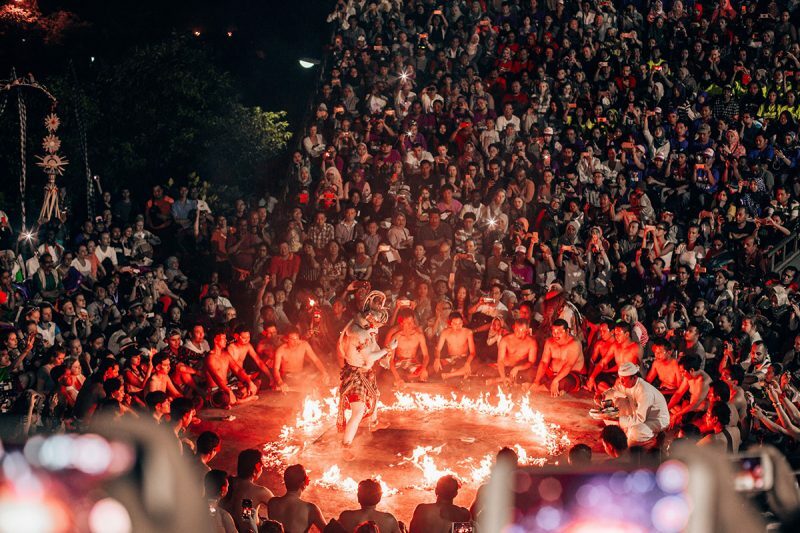 During this dance, hundreds of men in black and white sarongs, sitting in a lotus position and raising their hands, say monotonously “ke-cak-ke-cak”. Men are sitting around the platform on which the dancers, in the light of the lamp, tell the story of Rama and Sita. This dance is one of the youngest in Bali, it was created in early 30s. The choreographer Walter Spies borrowed the ancient ritual of the spell rom the male chorus, combined all this with the scenes from Hiundu, Ramayana and created an impressive action. Completing Kechak, many dance ensembles are walking on burning coals demonstrating trance-like state. 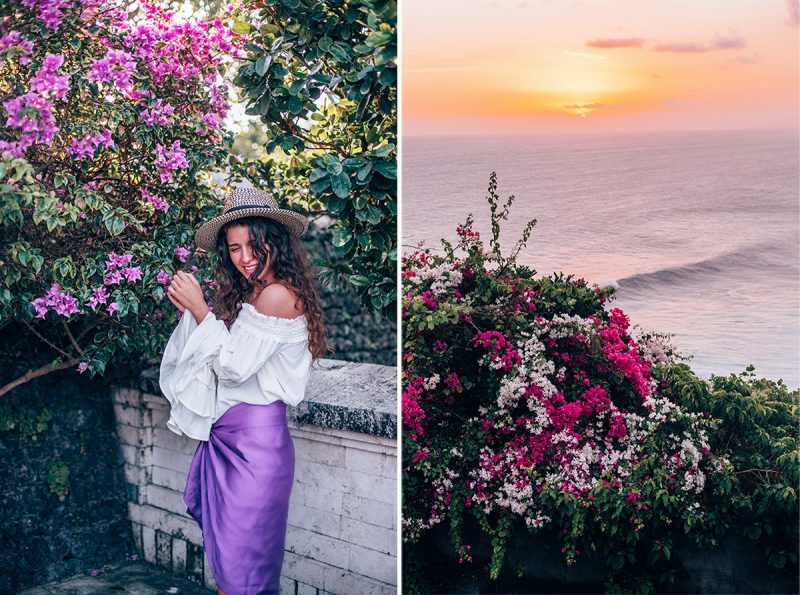 Whatever is your reason of visiting Bali, traveling thousands kilometers away is worth seeing sunset above the Indian ocean in the rhythm of Kecak dance, because the energy of this place is felt by every cell of your body.